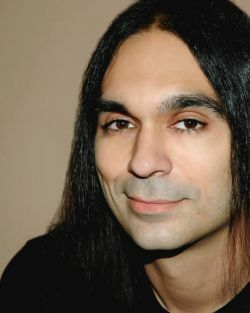 Konstantinos (New York) has been a paranormal researcher for over fifteen years, and is the author of six books published by Llewellyn. A recognized expert, he has consulted for and been a guest on various shows and documentaries on MTV, the SciFi Channel, NBC, History, Discovery Channel, and other networks. A former Physics major, Konstantinos been working on explaining the paranormal using modern scientific discoveries, especially in the realm of Quantum Mechanics. Some of his research has inspired TV, film, and novels, fleshing out scenes in the film “Black Roses” and the novel “Dead Souls.” He has also appeared in the bestselling videogame "Grand Theft Auto: Vice City." He was lead vocalist of the now defunct band, Bell, Book & Candle, which appeared on three Cleopatra Records compilations: Goth Box, 100 Tears: Tribute to the Cure, and Vampire Themes. It is unclear how soon he will be able to devote time to a musical solo project. Yes, Konstantinos is his real name.